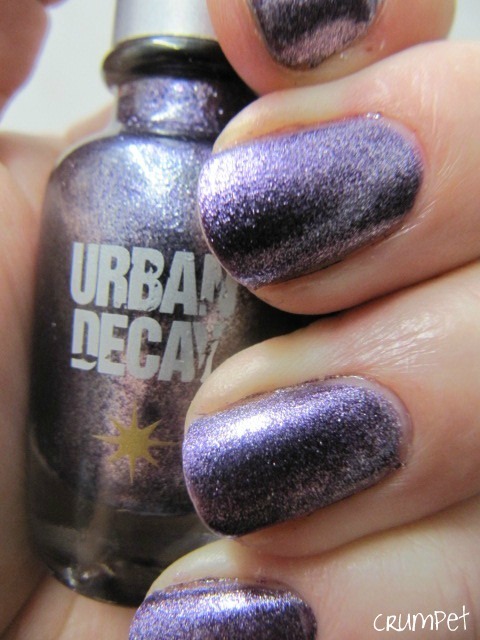 I hope you are all well in your nail polish bubbles J I have an Urban Decay for you today, the first I have bought from that brand in over 10 years! 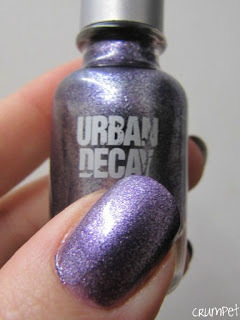 When UD was still a fairly new brand in the UK, I bought loads of their colours as they were quite unique at the time – very swirly and iridescent. I found they chipped quite quickly so fell out of love with them, but this little one recently caught my eye. 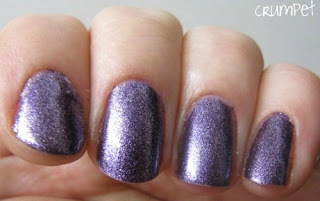 AC / DC is a metallic, but the metal is ingrained in the polish, like a pattern. 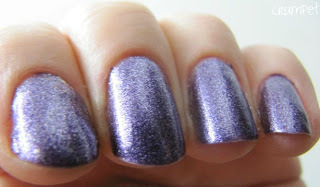 The base purple is a cold steel tone with a dusty grey tinge, and the metal is silver. On the nail, this is just love love love. It looks amazing. 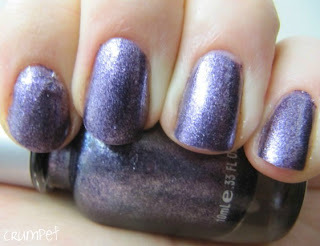 From a distance, it looks fab – a dark steely purple blur. Up close, it’s even more impressive, with the silver speckling the purple and adding so many dimensions. This is not glossy, it has a flat finish, but it’s not dull, mainly because so much light bounces off it. I am really in love with it. 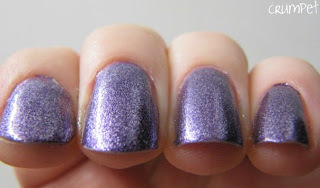 It’s actually different to all my other purplishes – and seriously, how low are the odds of that – and I also think this will be a great stamping polish. There have been similar colours released this year. I didn’t like It’s My Year from OPI’s Miss Universe Collection because there was too much gold in it – this Urban Decay mix is much better. 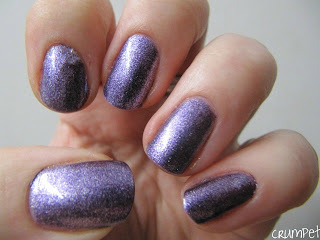 I also own Zoya Rea which is metallic purple, but that one has a lot more brown in it. So, an unexpected win, and probably a really easy “emergency” polish too, for something quick and easy to apply but a little bit different on the nail.